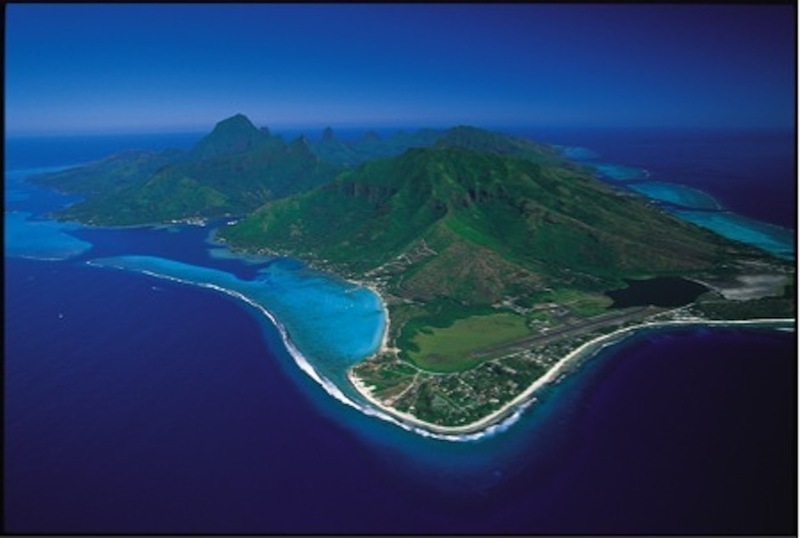 Only a 30 minute ferry ride across the sea of moons from the island of Tahiti, lies the beautiful island of Moorea. A wide, shallow lagoon surrounds the island’s vertical mountains where waterfalls tumble down fern-softened cliffs. Colourful, flowered and radiant, the island of Moorea is a pleasure for all senses. Be captivated by the beauty of enchanting Moorea with its amazing scenery and laid back atmosphere. The lush mountainous landscape contrasts with the crystal clear blue lagoon. Pastel-painted houses surrounded by gardens of hibiscus and birds of paradise, circle the island in a fantasy of happy, yet simple villages. Many artists live on the island of Moorea. Painters, carvers, jewellers and tattooists have settled down on this island and take their time to capture the island’s beauty and serenity and find the inspiration to create their art. You will be touched by the natural friendliness of the local people who will help make your stay memorable. A wide range of land and water activities are available for adults and kids alike. A good selection of cafes and restaurants are dotted around the island, to suit all tastes. Moorea offers a wide range of accommodation options, whether you are looking for something simple on the beach or opt for a more luxurious spot over the water, the choice is yours. Moorea suits many visitors, whether you are wanting to kick back and relax or have a more active holiday, in a laid back atmosphere on a stunning island, then Moorea is for you!